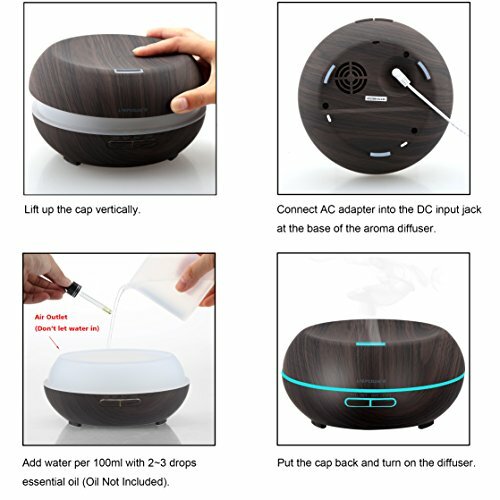 Diffuse essential oils right in your office with this aromatherapy diffuser. With executives in mind, this sleek, modern design is perfect for work or home. This can be used with a mix of oils to help energize or destress every executive. Diffuser chamber holds 200 milliliters of water. Four-time settings and two mist options allow optimal customization. Compact and portable for easy transport from home to office. Great for travel and easy to clean. LED lights great a calming glow at the brightness level of the executive’s choosing. There are seven color light options as well as a “lights off” mode. Automatic shut off when water is gone. Available in two color ways: wood grain or dark. Works with any essential oil blend and mixture. This can help executives relax and sleep or can help get executives energized and focused. 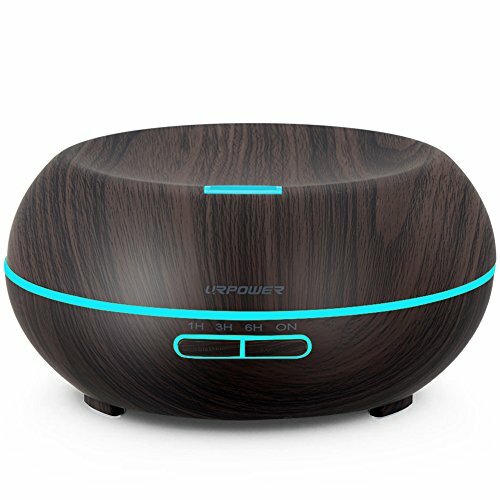 This diffuser creates a noise level less than 36 decibels, allowing it to remain discreet in the office or home. Customization options for time, mist, and light allow the executive to hone in on their needs. According to a study funded by Hainan Medical University, the use of essential oils in aromatherapy could have great health benefits. The nervous system can be impacted positively by oils, decreasing pain levels. Conditions such as indigestion, skin issues, insomnia, depression, and pain can be alleviated with the use of essential oils. This device comes without a power adapter. Diffuse your way to a better work environment now!